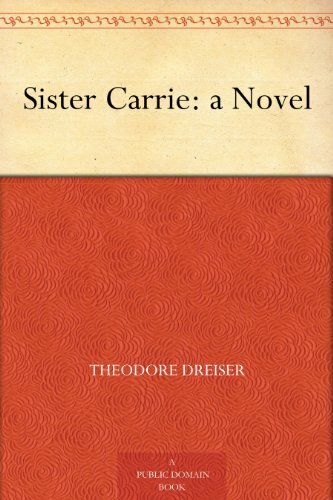 Theodore Dreiser’s acclaimed first novel, Sister Carrie is free on Kindle, but beware! One of the free versions is corrupt, with wrong words and missing text. This is from the first paragraph. The emphasis is mine. She was eighteen years or age, bright, timid, and full of the illusions of ignorance and youth. Whatever touch of regret at parting characterized her given up. When Caroline Meeber boarded the afternoon train for Chicago, her total outfit consisted of a small trunk, a cheap imitation alligator-skin satchel, a small lunch in a paper box, and a yellow leather snap purse, containing her ticket, a scrap of paper with her sister’s address in Van Buren Street, and four dollars in money. It was in August, 1889. She was eighteen years of age, bright, timid, and full of the illusions of ignorance and youth. Whatever touch of regret at parting characterised her thoughts, it was certainly not for advantages now being given up. This is not due to a difference between edited editions. It is a careless conversion to the Kindle format. The first free version offered on Amazon is the bad one and I do not link to it here. There is another free version, which appears to be fine and that is the link in this blog. Here is a tip. When you are looking at a free classic book that has been on Amazon for over a decade, there may be a hundred reviews and most will not be for the Kindle edition. Look for a rating of one star. Sometimes when there is a bad Kindle version, you will find a kindly Amazon reviewer has alerted people with a one star review. That was the case here. While I am handing out tips, there is no guarantee than an inexpensive version of a classic is also not corrupt. Sometimes these versions are identical to the free version, except for price. Before you pay for a classic, download the free chapter to check it out. I think so,” she answered. How true it is that words are but the vague shadows of the volumes we mean. Little audible links, they are, chaining together great inaudible feelings and purposes. Here were these two, bandying little phrases, drawing purses, looking at cards, and both unconscious of how inarticulate all their real feelings were. Neither was wise enough to be sure of the working of the mind of the other. He could not tell how his luring succeeded. She could not realise that she was drifting, until he secured her address. Now she felt that she had yielded something—he, that he had gained a victory. Already they felt that they were somehow associated. Already he took control in directing the conversation. His words were easy. Her manner was relaxed. So why am I, the reader, not feeling relaxed? Jane Eyre by Charlotte Brontë. I think I have read this three times, but only once as an adult. 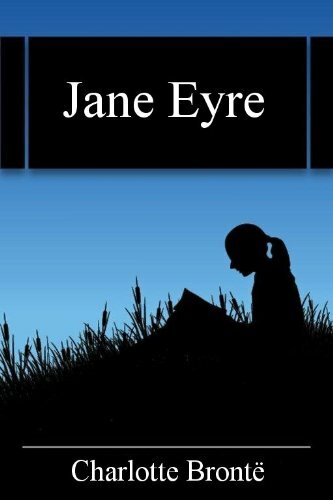 Jane Eyre has a reputation as a woman’s book, possibly because so many adolescent girls read and love this classic. Those men who do read the book are probably dutifully reading their way through the Brontë sisters. I hope not, but suspect it is the case! 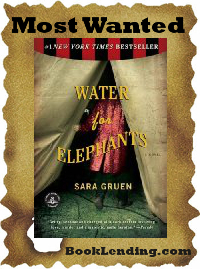 This is a strange, dark, romantic book with a strange, dark romantic hero. (A familiar Brontë theme.) The book has some interesting plot twists and is not slow moving in that sense. But time moves very slowly for Jane and Rochester. I don’t know if this is a book for everyone, but I think you will know from the first chapter if you are going to like it or not. The beginning about Jane’s childhood has always reminded me of Dicken’s darker descriptions of childhood and is very affecting. It is a good book, give it a chance fellas! And women, enjoy it again!